AWS: Containers are a powerful way for developers to develop, package, and deploy their applications. 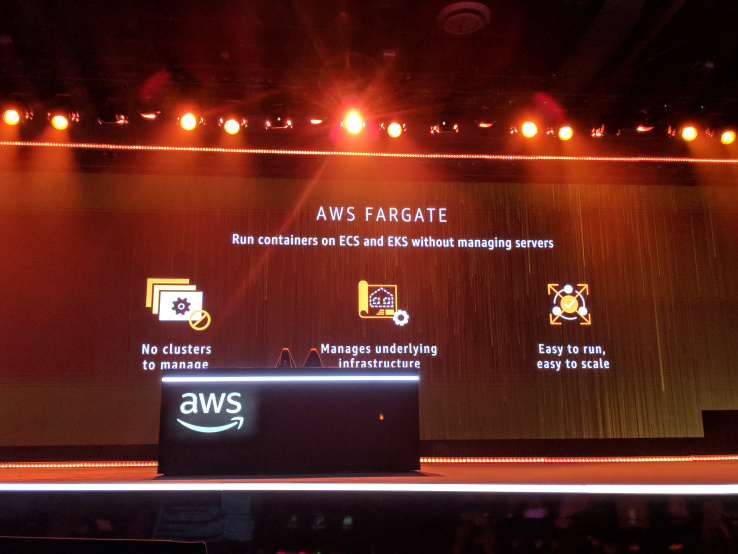 At AWS we have over a hundred thousand active ECS clusters and hundreds of millions of new containers started each week. That’s 400+% customer growth since 2016. Container orchestration solutions, like Amazon ECS and Kubernetes make it easier to deploy, manage, and scale these container workloads increasing your agility. However, with each of these container management solutions you’re still responsible for the availability, capacity, and maintenance of the underlying infrastructure. At AWS we saw this as an opportunity to remove some undifferentiated heavy lifting. We want to let you take full advantage of the speed, agility, and immutability that containers offer so you can focus on building your applications rather than managing your infrastructure.